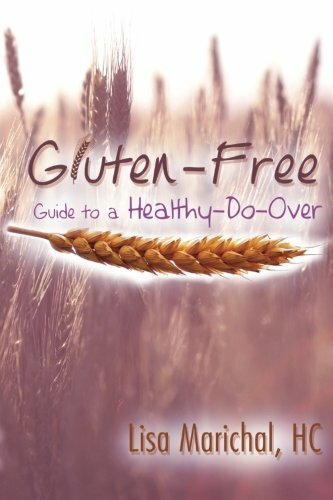 Gluten Free Guide to a Healthy-Do-Over is a HOT NEW RELEASE ON AMAZON! Photos from the Book Launch Party, Whole Foods, Columbus Circle, NY - What an Amazing Day! Dreams Coming True! is not like any of the other gluten-free books you've flipped through or read before. There are no recipes in sight. Instead this book focuses on YOU. This book will show you how to take control of your health. Build a better relationship with your body, look at health from a different and gluten free perspective. In addition, showing you how gluten is impacting your health, today and in the future. This information is drawn on from the leading experts in the areas of celiac disease and non-celiac gluten sensitivity, my clients, my family as well as my own experiences. If you've had questions about gluten or have been struggling with any gluten challenges - than this book is for you. Gluten is a hot topic in the health world but it is difficult to know exactly all of the issues and what to do about them. Lisa offers in her book the soundest and broadest advice that I have found and I recommend this book to everyone.